1.4 Where do raspberries grow? 1.8.1 Which is the greatest raspberry producer of the world? 1.8.2 Which is the greatest raspberry importer of the world? 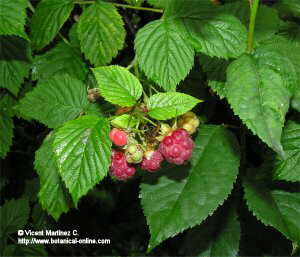 1.9 How to distinguish raspberries fruits from blackberries fruits? Raspberry plant (Rubus idaeus) is a plant of the Rosaceae family, within which many other shrubs are included, such as bramble (Rubus fruticosus), redcurrant (Ribes rubrum) or woodland strawberry (Fragaria vesca). Red raspberries are perennial shrubs that reach approximately 2 m height. They have woody, rounded, erect, red stems, fitted with overhanging slender branches, provided with straight thorns, much less resistant than blackberries. 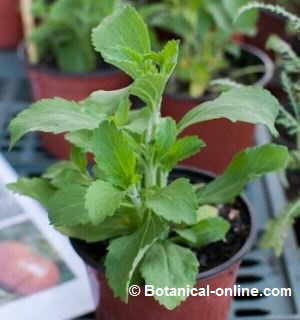 Their leaves are pinnate and have from 3 to 7 serrated leaflets, fluffy on the back. Their flowers can attain 1 cm in diameter. They are white and grouped in inflorescences up to 10 flowers each. The fruits are aggregates of different berries (drupetum). They are also named raspberries. With a non-bright red color and soft texture, they become ripe in summer or autumn. 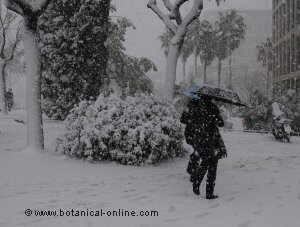 In fact, you can find plenty of them there, although it grows almost everywhere in Europe except in far northern areas. In atlantic climates, it appears in lowland forests, heaths and rocky places, while in warmer climates it is found in higher areas, especially in mountain forests. It is believed that the Romans promoted its cultivation in Europe. Many seeds of different varieties have been found in some remains of Roman fortifications in England. The first written text about raspberries dates from the fourth century AD and appears in the work of the writer Palladio Opus agriculturae. During the Middle Ages it was consumed as a fruit and used as a medicine. 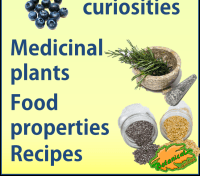 In the eighteenth century, its cultivation spread in Europe. 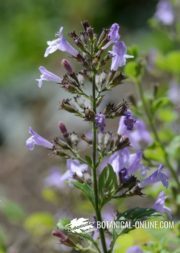 European colonists brought the European varieties to America, where there were already other native varieties with which they hybridized, forming crossed varieties. Raspberries are opportunistic plants. They a great ability to colonize the empty spaces left after a massive fire or logging. 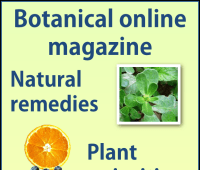 Extremely easy to grow, because they are very hard to diseases and adverse environmental conditions (They can hold up to – 40 º). This makes them an abundant plant in the field and easy to grow at home, but this adaptability often also determines that they can become an invasive species that can spread and colonize fertile lands, where one could be interested in planting other species. 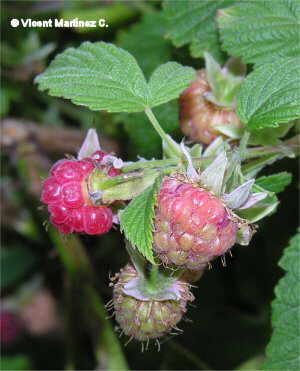 Raspberries are grown primarily for their fruits. Raspberries are used to eat raw or prepare cakes, jams or stored canned. 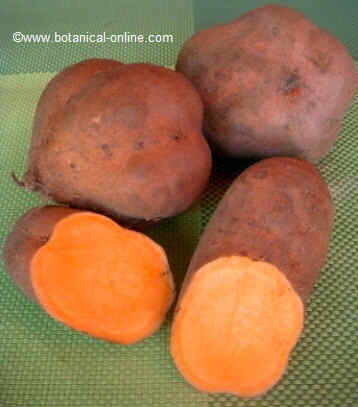 The tender roots, after thoroughly boiled, are also edible. The offspring growing from the soil in early spring, when tender, can be eaten as if they were asparagus. Summer varieties: They represent the bulk of sales of this fruit. These are those that are ripe during the months of July and August. Such plants need a couple of years to produce fruits. Latham varieties are very well-known varieties within this group. Summer-autumn varieties: Those that produce fruits during the summer and autumn (from July to October. The volume of sales represent a smaller percentage compared to summer varieties. Such plants are already producing some results in the first year. Amity is one of the the most famous variety, due to the consistency of its dark red fruit). There are red varieties and varieties with yellow/golden, purples or black tones. Among the main red varieties we have: Amity, Durham, Hilton, Latham, Nova or Taylor. As yellow varieties, Goldie or Kiwi Gold. Among the black varieties we can mention Bristol, Allen or Jewel. Hybrid Varieties: These are obtained by crossing inbred varieties. With these species, we have been able to improve productivity and modify the structure of plants to make them easier to grow and collect. Among the most significant changes it is worth pointing out the disappearance or reduction of thorns and the production of more upright branches. Loganberry (Rubus loganobaccus). Species produced in the late nineteenth century by the horticulturist James Harvey Logan. 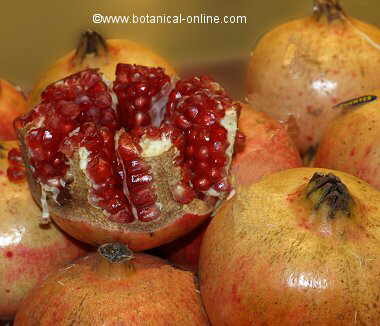 It is a tough variety that produces many fruits, but little appreciated by European consumers. It is grown mainly in the Pacific coast of the United States, where it has achieved a big market. Currently used as an intermediate to produce other hybrids. Blackberries: They are much more productive varieties resulting from crosses between American and other bramble varieties such as the European dewberry (Rubus caesius). Also known by the general name of blackberries, which can sometimes lead to confusion with the real blackberry. These are classified as erect and prostrate. The first produce straight stems, without thorns; the latter are crawling and have strong thorns, shaped as hooks. Belonging to the group called “Erect Blackberries” we have the Boysenberry, with dark and big fruit, strong and persistent flavor even after freezing or cooking; the Logumberry is another variety within the same group with the longest fruits. The Tayberry can be considered the latest variety, it has a conical shape, a considerable length and purple colour. Golden Raspberry: This group includes a number of hybrid varieties that deliver a superior sweetness and softer texture. This variety is grown especially in private gardens. Within this group is worth mentioning some varieties as Autumn Gold, which produces fruit from spring to autumn with a golden color and extreme sweetness. Within all the fruits, berries represent about 2%. Raspberries stand for 9% of the whole berries. The current world production of raspberries is established about 400,000 tons. This is increasing in many countries such as Argentina, Colombia, Guatemala, Zimbabwe and South Africa. 90% of world production of this fruit is used for juice production. Which is the greatest raspberry producer of the world? Europe produces the greatest amount of raspberries in the world, with Russia, Serbia and Poland as the main producers of this continent, followed by Germany, Britain and Hungary. America’s largest producers are Chile, United States and Canada. Poland provides the greatest percentage of exports to EU countries during the summer months. Which is the greatest raspberry importer of the world? The U.S. is the largest importer of this fruit and most imports come from Canada and Chile. The U.S. market consumes a lot of raspberries, both during the season and beyond. During the winter market in Europe, England is the largest importer of raspberries, most of them from Chile. In general, the Europeans, unlike Americans, think that eating this fruit out of season is still a luxury, which determines that raspberry winter market in Europe is minimal and very expensive. How to distinguish raspberries fruits from blackberries fruits? Although raspberries are quite similar to blackberries, they are quite easy to distinguish, as blackberries when ripe are black, while raspberries are red. Unripe blackberries are also bright red, smooth and have a very acidic taste while raspberries are red and with some hairs. Another way to distinguish the two fruits is the way they separate from the plant. Raspberries, when detached from the plant, show on top of them a cavity coming from the receptacle which remains attached to the twig, while berries do not have this hole, because, when you cut them form branch, the receptacle that is hooked to the fruit will be also separated.